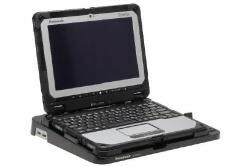 Panasonic Toughbook is a leading manufacturer of rugged computers. 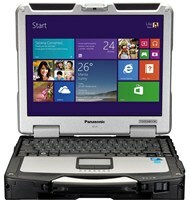 Panasonic Toughbooks or Panasonic laptops have delivered reliable, durable mobile solutions for more than fifteen years and have expanded the boundaries of wireless communications technology through a broad portfolio of products, ranging from fully rugged, industrial strength notebook computers and tablet PCs to business-rugged thin and light and ultra-portable notebooks. 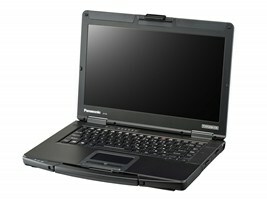 Roaming Technologies offer a range of toughbooks in our online store from this leading brand. 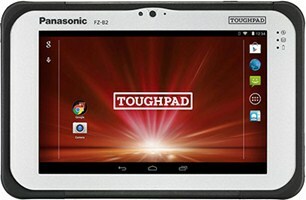 Panasonic toughbook prices range from $2,075 to $5,950 and will provide you with the highest of standard in rugged hardware. 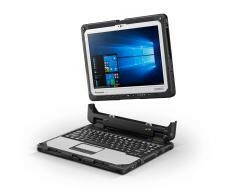 Check our full range of high quality toughbooks below. Our “Extended” docking station for the Panasonic FZ-G1 Toughpad tablet has been designed to accommodate external accessories such as handstraps and extended batteries that add increased dimension to the tablet, as well as being compatible with tablets without such options. 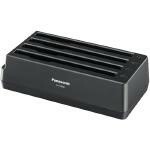 This dock features easy one-handed docking and undocking, captured key lock mechanism for safety and security, and genuine Panasonic circuit boards. USB 2.0 (4), USB 3.0 (2), Serial, Ethernet (2), HDMI, VGA, release lever, Kensington lock, power button. Mk2 TO BE RELEASED AT END OF APRIL 2015.
makes the Toughbook CF-D1 a unique tool. Unique in its ability to transform the way diagnostic engineers work, wherever that might be. 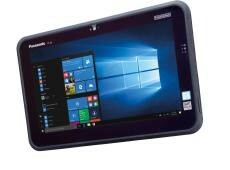 The Toughpad FZ-M1 is Panasonic’s first fully rugged 7" Windows 8 Pro tablet which has been designed for mobile workers who spend much of their time working outside or from vehicles. 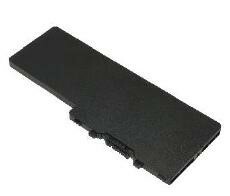 consumer grade tablet without the weight of a fully rugged device.